it became easier to pick up food. Non-slip finish of chopsticks protects the tip of chopsticks in addition to the effect of slip prevention, and makes chopsticks last longer. It is recommended for restaurants that wash frequently every day. 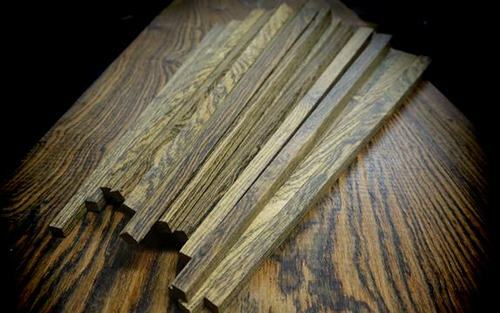 The tiger grain is very rare grain in all wood. We call it KOTAN. 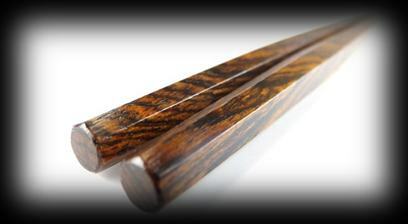 KOTAN means that Ebony Wood of Tiger. Please enjoy meal with this rare Tiger Grain. so when you take the chopsticks you feel your hand more beautiful. so Heptagon(7 angles) is best fit angles to grasp chopsticks! These chopsticks shaves Heptagon from bottom to 1mm(0.03inches) of tip point. And bottom shaves thin than hand grip point so It's makes beautiful body line.